Say bye-bye to bedhead, baby! 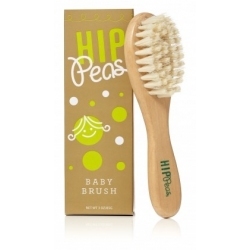 Hip Peas Baby Brush gently grooms your precious tot’s locks and helps tame fine baby flyaways. Our eco-friendly brush is designed for baby’s comfort and will leave that sweet little head healthy with silky, shiny tresses. 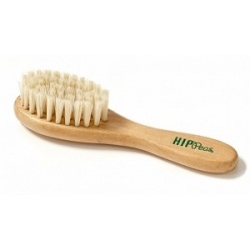 Natural wooden handle and cruelty-free bristles are safe and gentle for even the littlest sweet pea!